Morphing from Victorian to Spanish Revival architecture, the Casa Loma Building is arguably the most changed building on Mill Avenue. An early hotel was constructed on the site in 1888 but was involved in a devastating fire in 1894. The building was rebuilt in 1894. Its architecture is reminiscent of the Victorian style. However, it sported uncharacteristic porches and balconies, presumably to take advantage of Arizona’s spring and fall weather. Originally owned by C.E. Atwood, the building was first named the Atwood Hotel. In 1901, Atwood was convicted of writing bogus checks and the name was changed to the Casa Loma Hotel. Ownership changed over to W. J. Kingsbury, a prominent banker in Tempe. The hotel has had its fair share of celebrities stay within its rooms. Just before his assassination, President William McKinley also stayed at the hotel in 1901. Buffalo Bill Cody created Wild West shows that toured the eastern United States. He also invested in gold mines in southern Arizona, near Tucson. 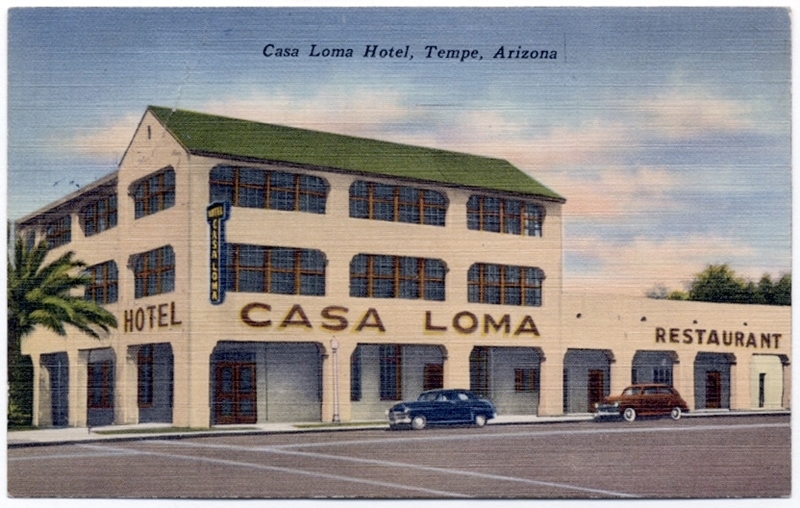 During one of his visits in 1911, he had a short stay in Tempe at the Casa Loma. Also in 1911, the Casa Loma launched a brand new marketing campaign. Capitalizing on Arizona’s beautiful weather, the hotel guaranteed guests that they would not have to pay for their rooms on days that the sun did not shine. Since their target audience was snow bird tourists escaping the frigid temperatures of other parts of the United States, their guarantee of sunshine was extremely successful. The Casa Loma underwent an extensive remodel in the mid 1920s. The entire facade was transformed into the quaint Spanish Revival-style architecture seen today. 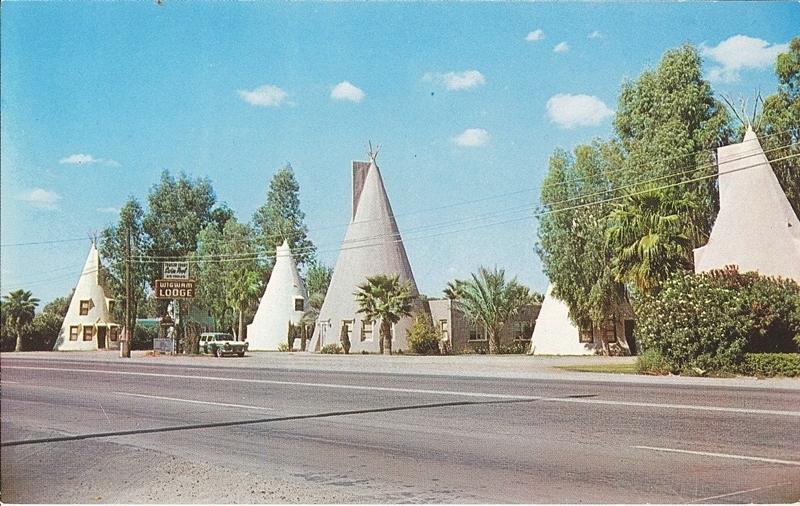 As seen in other western cities in the US, Tempe also capitalized on “Southwestern” tourism, where one could visit Mexico without setting foot in that country. Even though much of the structure was changed in the remodel, one can still see the original doors and casements of the pre-1920s building. 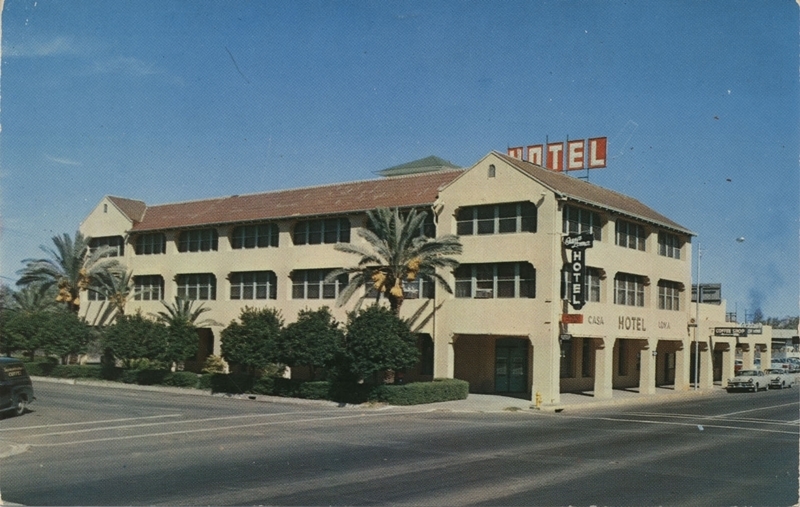 After its use as a hotel, the building was repurposed as apartments. Today it is the location of the Café Boa Bistro and Wine Bar as well as office space. 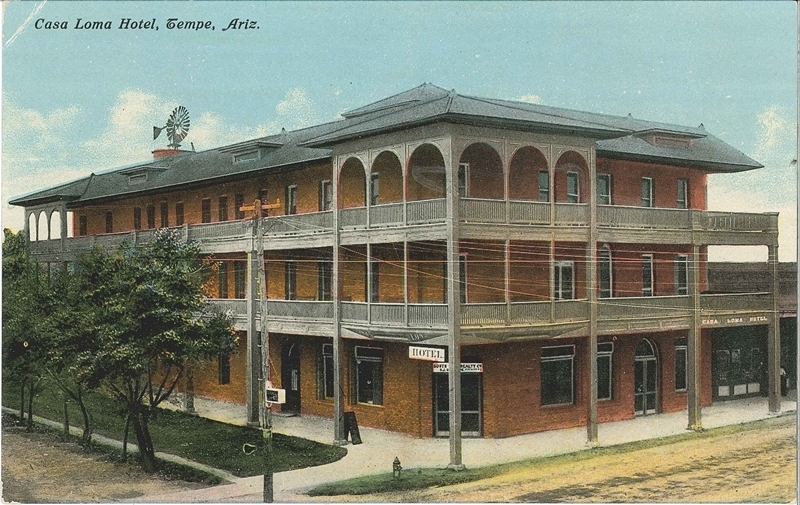 Casa Loma Hotel Postcard, ca. 1949: This postcard depicts the Casa Loma Hotel, a draw for tourists (especially Eastern snow birds), as a calm, relaxing place to take a vacation. ~ Source: Photo courtesy of Tempe History Museum..
Postcard of the Casa Loma Hotel, ca. 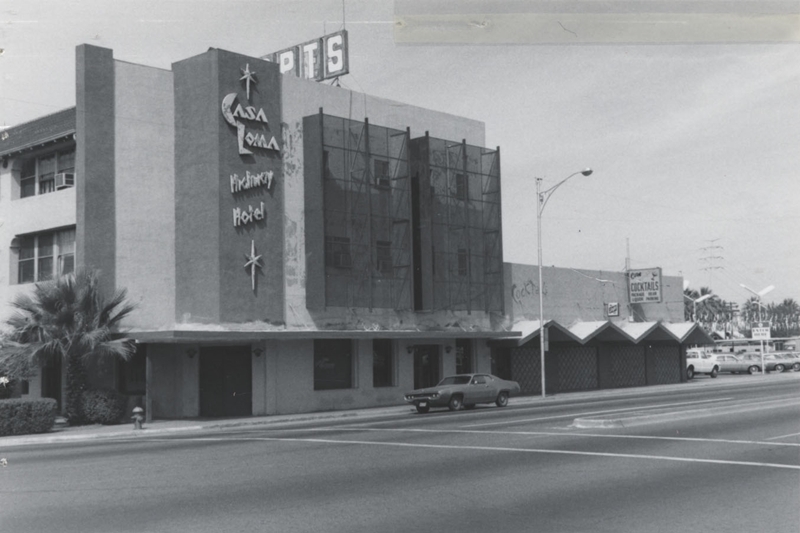 1962: Although nestled in an industrial downtown area, the Casa Loma, with its Spanish-Colonial Revival architecture and palm trees, still seems to flaunt an atmosphere reminiscent of white sand beaches. 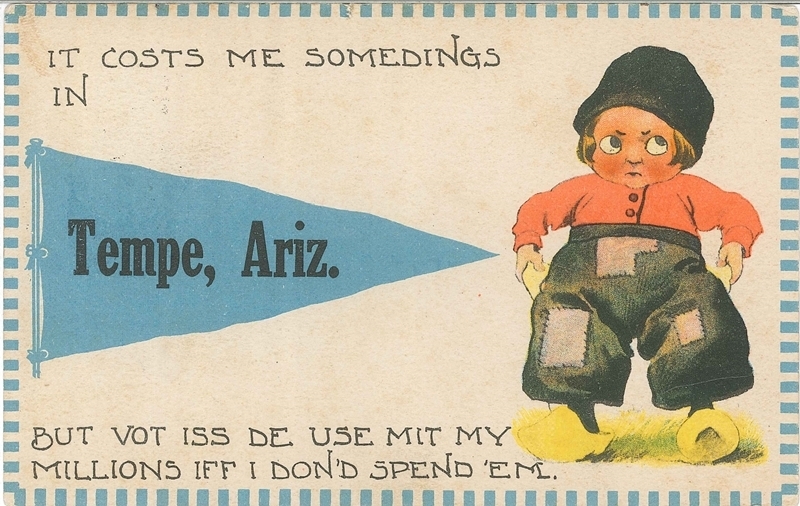 ~ Source: Photo courtesy of Tempe History Museum. 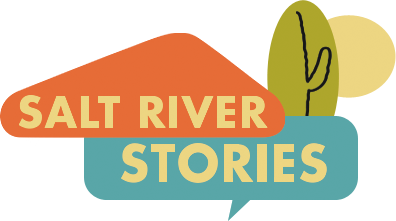 Holly Solis, Jacquelyn George, and Salt River Stories Team, “Casa Loma Building,” Salt River Stories, accessed April 20, 2019, https://saltriverstories.org/items/show/59.